Dominic has been supporting individuals who are intellectually challenged and their families for over 30 years and brings this commitment and passion to Partners for Planning. He became interested in the field as a student and volunteer at a school for children with a developmental disability. He was employed by the March of Dimes for a year and then in 1979 joined the Toronto Association for Community Living, where for 12 years he held several positions, including that of Adult Protective Service Worker, Supervisor and Human Resources professional. Prior to joining Mary Centrein 1994 as Executive Director, he was Executive Director of the Newmarket and District Association for Community Living . Dominic brings over 25 years of experience as a senior executive to his role as P4P Board Chair. Dominic is married to Frances and they have two children, Sean and Andréa. His interests include photography, jogging, collecting fountain pens and the martial arts. Robert joined the P4P board in 2013 and has witnessed its remarkable growth from an organization comprised of two volunteers in a one-room office space (that could barely keep the lights on) to a nationally recognized and highly regarded leader within the disability sector. As a child, Robert experienced first-hand the challenges faced by families with children living with a disability, during his late brother’s lifetime – this is what drives Robert’s interest in P4P and the disability sector. Professionally, Robert currently works as in-house legal counsel for a national commercial real estate company. Ann Marie joined the P4P board to help other families create a meaningful life and secure future for their child with a disability. Ann Marie understands the rewards and challenges families face striving to create the best possible life for their child. She has experienced the frustration of trying to maneuver around the fragmented disability service landscape, as well as the rewards of belonging to a strong community of support. Ann Marie currently works as a Process Architect in the banking industry. Marcus graduated from the Master of Accounting (MAcc) program at the University of Waterloo in 2010, and attained his Chartered Professional Accountant (CPA, CA) designation in 2012. He is currently an assurance manager at PricewaterhouseCoopers LLP (PwC), responsible for the audits of both private and not-for-profit organizations. Furthermore, he is actively involved as the Corporate Responsibility leader with initiatives to increase volunteering events and liaise with the PwC Foundation. He became involved as the P4P Treasurer because the role combines three of his passions: finance, planning and community. Outside of work, he loves to travel (last continents to visit are South America and Antarctica!) and enjoys playing racquet sports (always will be a supporter of Roger Federer!). John Wilhelm is the Chief Social Worker for the Toronto Catholic District School Board where he has been employed since 1988. 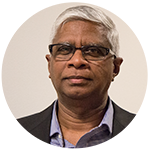 He has served as past member and Chair of the Minister’s Advisory Council on Special Education; is a past member of the Ontario Accepting School Expert Panel; and a previous director for both the Toronto Child Abuse Centre and Toronto Catholic Family Services. Mr. Wilhelm is currently a member of the Board of Directors for the Toronto Catholic Children’s Aid Society, a member of the Center for Addictions and Mental Health Constituency Council and co-chairs the Toronto Lead Agency Education Table. He is the recipient of both the Ontario School Social Work Achievement Award and the Toronto Child Abuse Making a Difference Award. He graduated with a Masters Degree in Social Work from Wilfrid Laurier University. John believes his best experience comes from raising two wonderful children. Brian has a B.Sc. in Mathematics from Queens’s University and a M.Sc. in Economics from the London School of Economics. He has had a career in the Communications Technology industry, including Philips, Kasten Chase and several wireless technology startup companies. Brian has extensive experience in hardware and software project management in advanced technology. Brian is the father of an active and successful son with learning disabilities. David joined the board so he could share his experience and help other families with their journey. As a single parent of a 17-year-old autistic son, David was drawn to P4P by watching their webcasts. While raising his son, he has experienced firsthand the challenges of finding services for a child, and is now navigating the new world of finding services for an adult. He is driven to create a community of support for his son as he learns about the world of work and life after high school. David has over 30 years' experience in the information technology field, with 15 years as a business and IT leader. He currently holds the position of Chief Information Officer at Infrastructure Ontario, and is certified in information security, privacy and business planning. He is looking forward to applying his extensive experience toward helping P4P grow as a leading provider of services to families. Theva is the Accounting Manager for Del Property Management, a division of Tridel. He holds a number of responsibilities within his position including, liaising with condominium boards of directors, preparing budgets and looking after investments, as well as conducting annual general meetings. Theva also enjoys teaching Financial Management at Humber College, using his knowledge & work experience to help his students earn their RCM (Registered Condominium Manager) designation. In addition, to being a loyal employee for over 25 years, he is also an active member the Anglican Church, and has been committed to various positions over the years including Warden, Treasurer, & Synod Representative. His passion for community, has aided him to build this extensive background, making him a valuable addition to the P4P Board. When Theva is not volunteering his time within his community, he loves playing cricket, travelling and photography.